In 2003, Gina and Viktoria moved to NYC to pursue their fashion careers and met Lesly, a native New Yorker. For a decade, the trio worked together in the menswear industry establishing themselves as the best in the business. 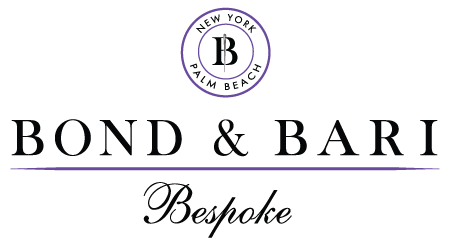 Their desire to be independent business women, while also having a family, led them to create Bond & Bari Bespoke. Years of hard work, self sacrifice, and loyalty to their clients has grown Bond & Bari into a multi-million dollar company. With the exponential growth of the clothing industry, we know you have a wealth of options and resources. However, as a world-class boutique firm led by captains of the clothing industry, you can expect unparalleled personal service that allows you to be attired according to your lifestyle, taste, and budget. We will never push you into the newest trend, unless you want to be the next fashion trailblazer!